The Alpine Trails ride is one of the best Southern California Dual Sport rides, offering great scenery and a variety of trail options. This self-guided tour provides some of the best desert and mountain terrain available in Southern California. 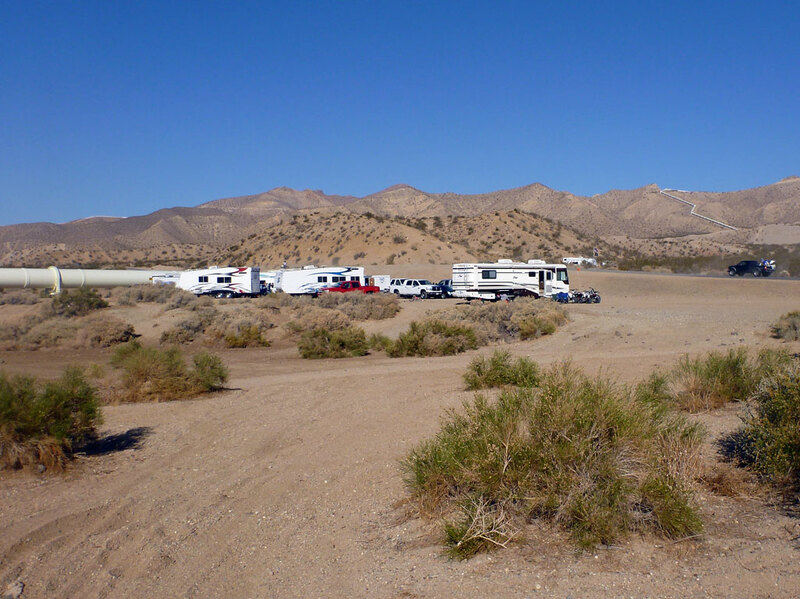 The terrain ranges from high-speed desert in the Jawbone Canyon OHV area to mountainous alpine terrain in Sequoia National Forest. Trail options include graded fire roads, rough jeep roads, single-track and a few paved sections. Trail routes are marked either Hard or Easy. Easy trails use graded dirt roads that are Adventure Bike friendly. 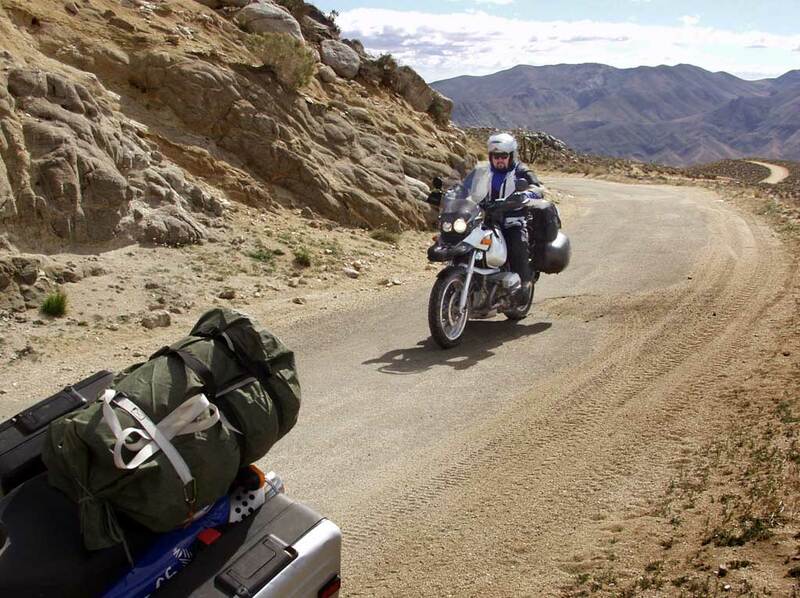 Only skilled off-road riders should attempt the harder trails on a large Adventure Bike. If you are up for the challenge, you can pick a few hard sections and give it a go. 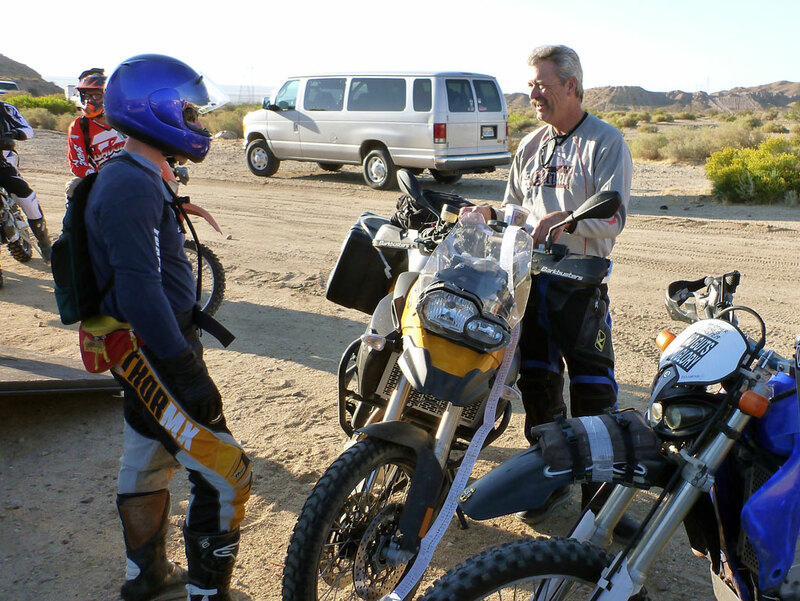 The ride starts in the Jawbone Canyon OHV area near California City, CA. The route travels through the desert and you quickly gain elevation as you enter the Sequoia National Forest. 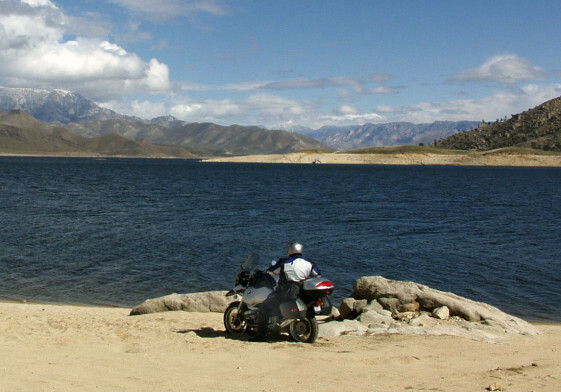 Stop for lunch and gas in Lake Isabella, then continue on through the Keysville area with stunning veiws of Lake Isabella below. The town of Wofford Heights, on the north side of the lake, is your first night’s destination. There are several options for hotel accommodations and a banquet style dinner is held at the Kern River Valley Elks Club. Dinner and breakfast are included in your fees. 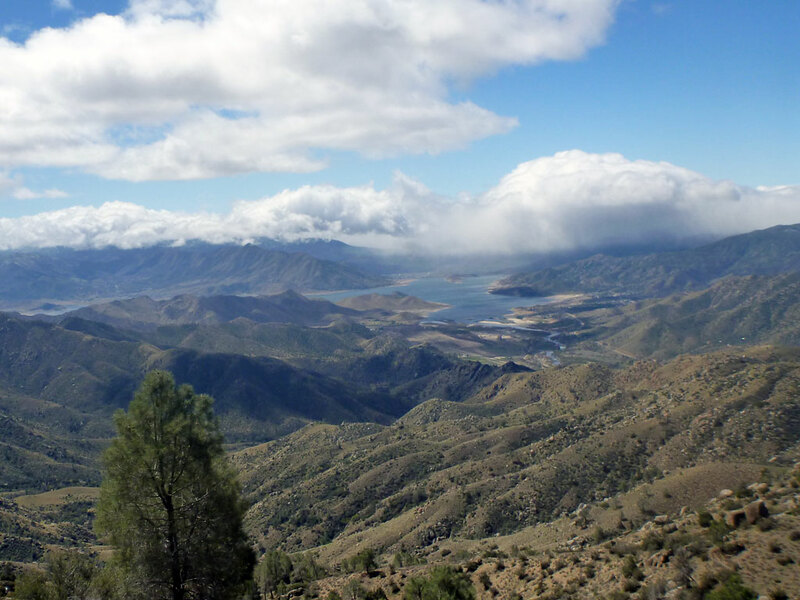 After some great food and story telling with like-minded Adventure Riders Saturday night, you’ll return the next day on a different route through the Sequoia National Forest back down to Jawbone Canyon where you started. The ride organizers from Chaparrals are always friendly and helpful. One year I suffered a broken hand on the final day in a fall and they made sure I got my bike and myself transported back to safety in one of their support vehicles. This is a very well organized ride and you can be sure that everything will be taken care of for you. The organizers handle getting your baggage to each point on the trip and there are plenty of trail sweepers ready to help out with any problems you may encounter. Entries are limited to reduce the amount of dust and traffic jams, so sign up early before it fills up. Visit our ADV Events Calendar for more information on the Alpine Trails Dual Sport Group Ride.